Gone are the days of choosing between beautiful color and luxuriantly healthy hair. 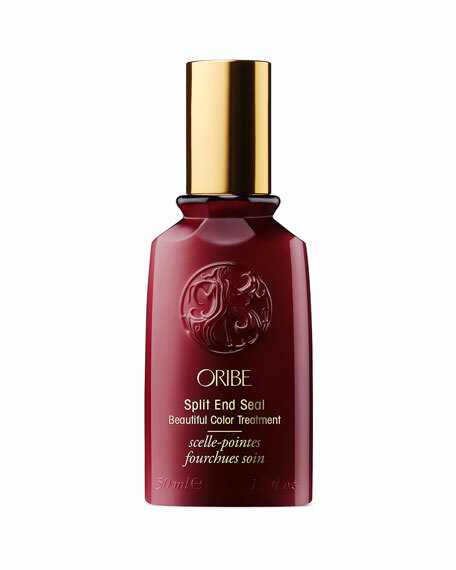 This serious silkening serum and split-end mender is clinically proven to restore, fortify, and preserve tresses of every shade.Distribute evenly through damp or dry hair to repair and protect. Style as usual. For damaged hair that needs repair and protection against color fading. Repairs up to 94% of split ends after 1 use. Repair up to 94% of split ends after 1 use.